White Lightning™ rim-fire targets come in a package of 15. 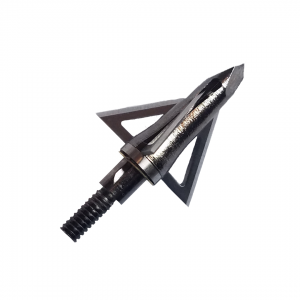 These targets are small and convenient yet VERY loud. 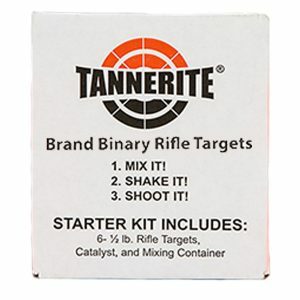 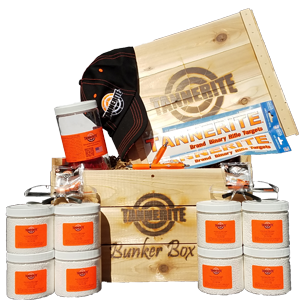 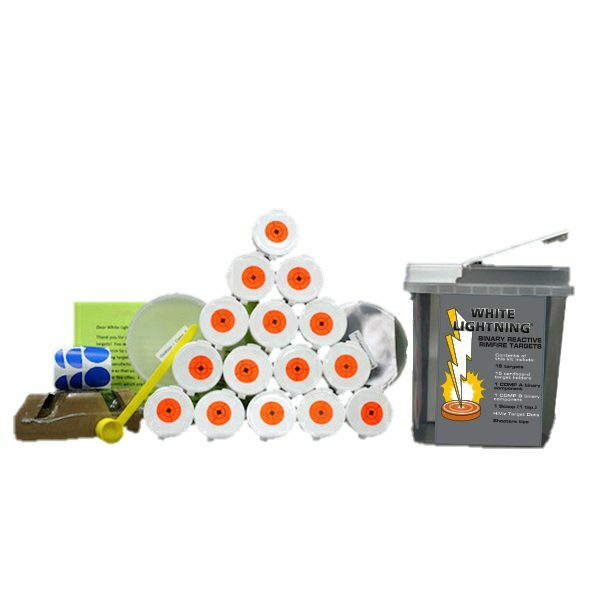 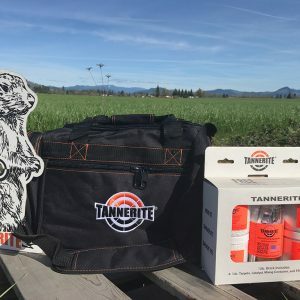 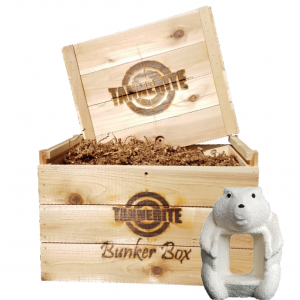 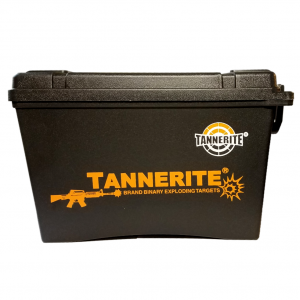 NOTE* These targets are not manufactured by Tannerite® Sports LLC and do not have the same insensitive properties as Tannerite® brand rifle targets. 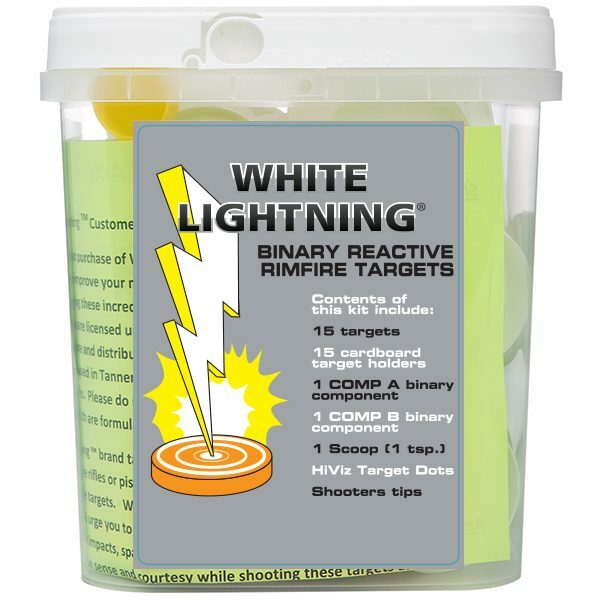 White Lightening™ targets pass drop-tests and are safe with any normal handling procedures; they won’t explode from a flame or cigarette; however, they can burn at a fast rate if they come in contact with fire and if shot in dry areas could initiate a fire so follow all precautions stated on the package. 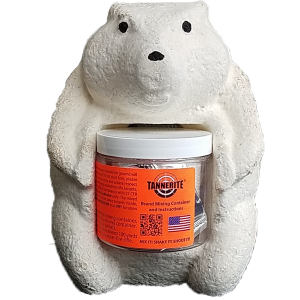 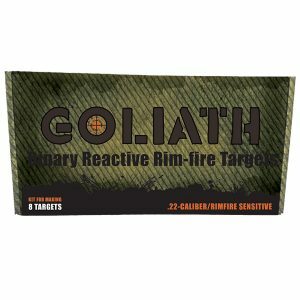 White™ Lighting rim-fire targets are a fun and awesome target for any rim-fire enthusiast.